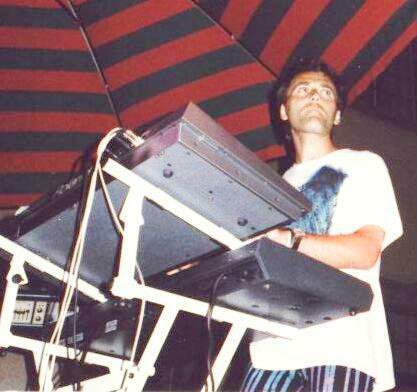 Some decades ago ... north-west of Egypt ... somewhere in the middle of Europe ... in a land called Germany ... near the Lake of Constance ... there was a band called TUT ENCH AMUN. 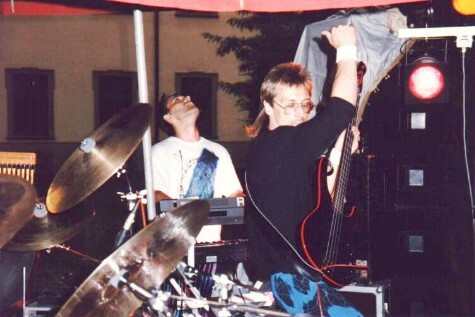 In this formation there were two brothers - a guitar-player and singer, Michael Roessmann (right) and a drummer, Stefan (left). 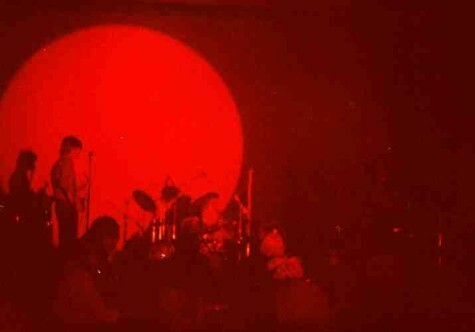 In January 1978 another musician joined this band. 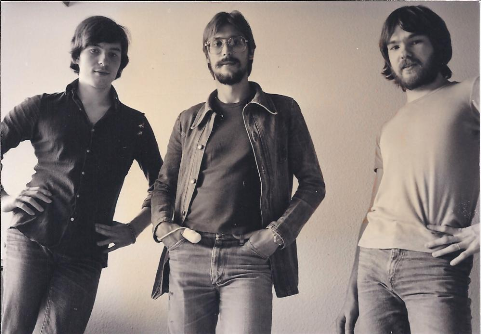 His name was Wolfgang Vollmuth (middle) - he played the bass-guitar and was also a singer. 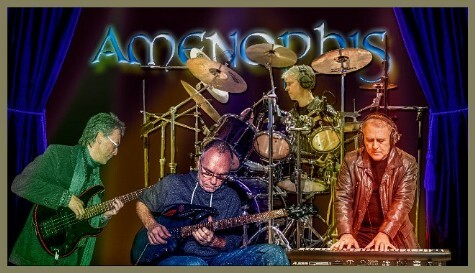 A new name was given to that group on December 15th - AMENOPHIS was founded. 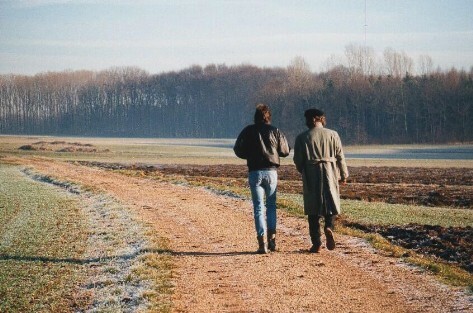 Their very first concert was in Kressbronn near that famous lake in the south of good old Germany on October 20th. 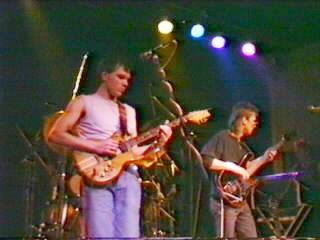 They played as an opening act before the group TT-Rock - a wellknown local rockband at that time. AMENOPHIS had several gigs in this area. 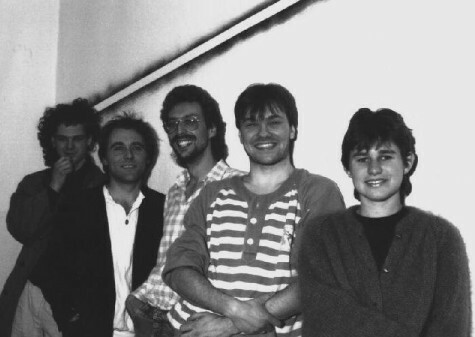 Their first repertoire consisted of selfmade songs mainly composed by Michael Roessmann and Wolfgang Vollmuth. 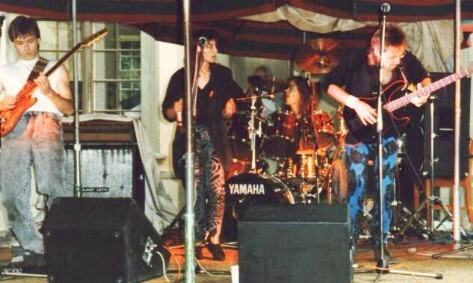 Only a few months later, the band had to expand. Their sound got more and more sophisticatedly and therefore two new members joined AMENOPHIS - Erwin Hillebrand (keyboards) and Reiner Plattner (stage sound). 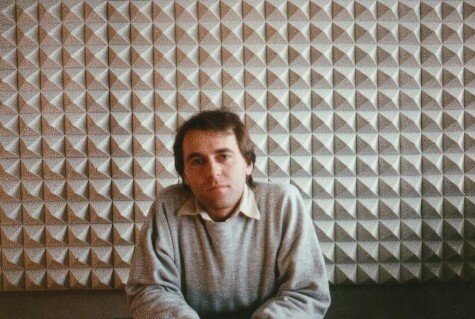 As you can see on this photo: Stefan Roessmann and Erwin Hillebrand sitting on the wall. 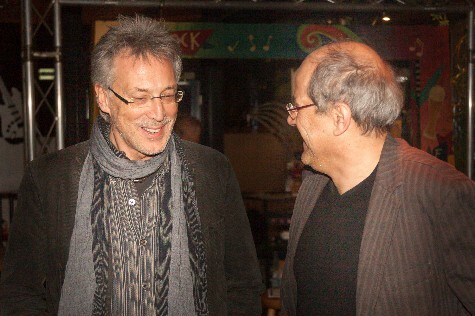 From left to right: Reiner Plattner, Wolfgang Vollmuth and Michael Roessmann. 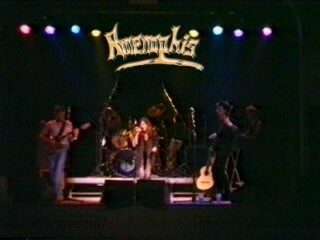 In the following two years AMENOPHIS played in about twenty concerts. 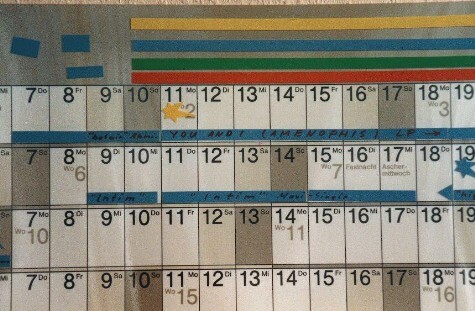 The songs THE FLOWER, SUN TOWER and THE LAST REQUIEM were composed in that period. 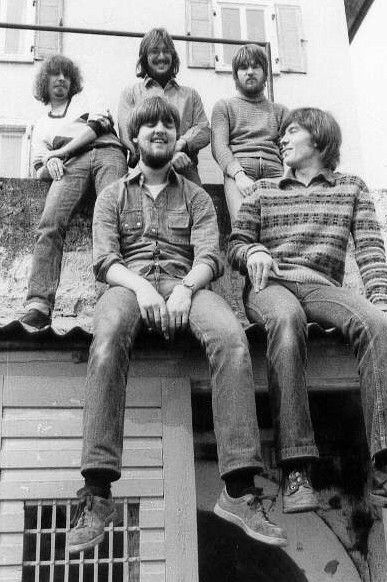 On 20 February 1980, the guitarist Wolfgang Hartmann (photo - left), a former member of the band TT-ROCK, joined the group for a few months. Songs like JOSEPHINE, RAT, THE EAGLE and FLY IN A DAY were always in the repertoire of those concerts. 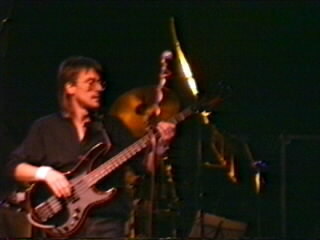 Wolfgang Hartmann left the group at the end of the year. It was about time for them to make their first album. Going to a professional studio was, in fact, too expensive. So AMENOPHIS decided to produce an album by their own. 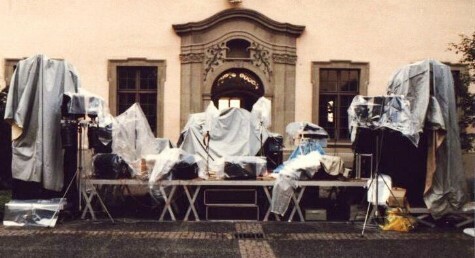 Their new rehearsel room was in a little castle next to Friedrichshafen. 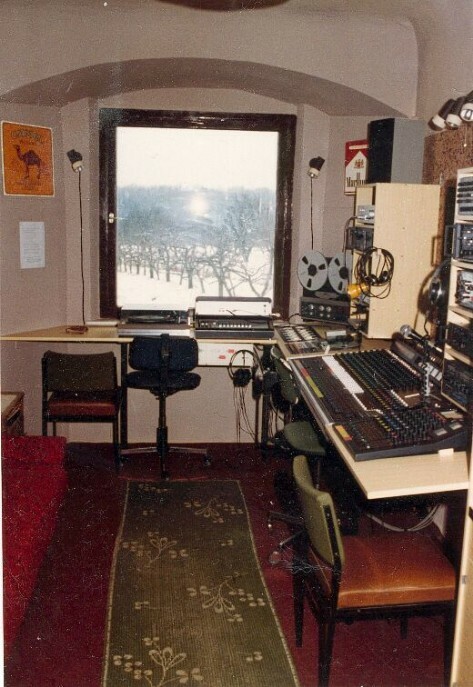 It hadn't taken long and they build a little studio called KLANGKAMMER. 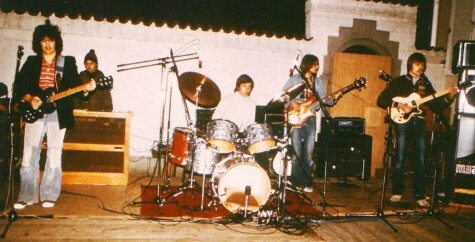 They put in all their stage equipment and an 8-track-tape-recording-machine from their sound engineer Rudolf Wiedemann. 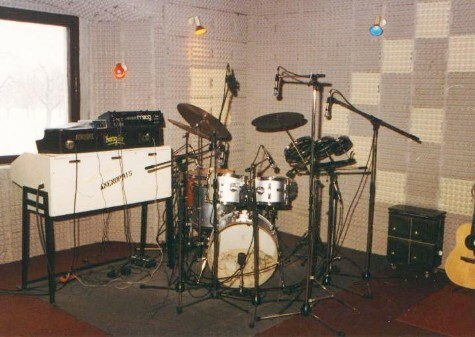 In the first months of 1983 they started to do some first recordings in their new own studio. 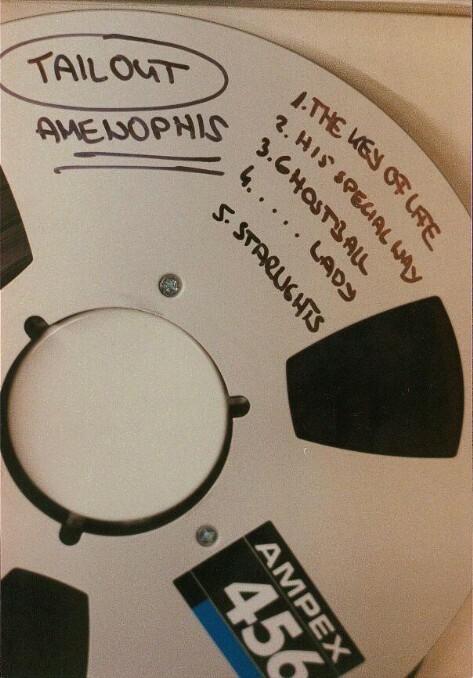 The AMENOPHIS album was the most important thing for them to do. 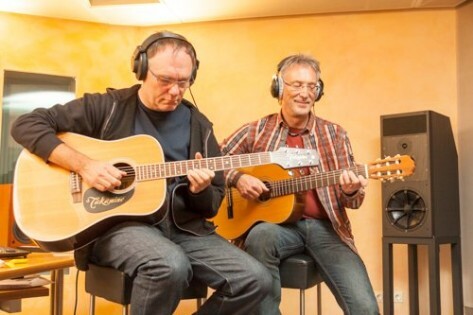 This new kind of making music - playing in a studio - gave them a lot of new experience. From now on they had more freedom and possibilities to realize their ideas. The record was released on December 30th, 1983. Between 1984 and 1987 a few hundred copies of their album were sold. The group decided to split up officially. The main reason for that decision was the general lack of interest in German Prog-Rock. It wasn't the end of AMENOPHIS. It was only the end of CHAPTER ONE. 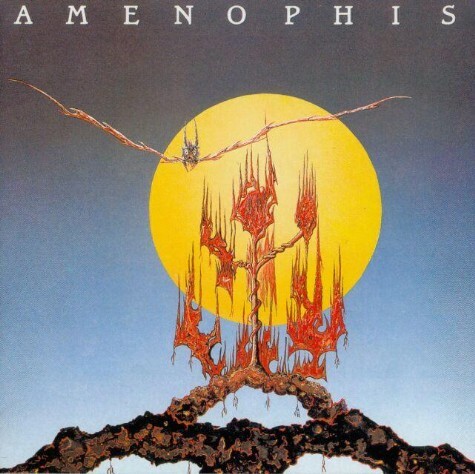 AMENOPHIS first album was discovered by a German distributor who asked the musicians for permission to sell it abroad. 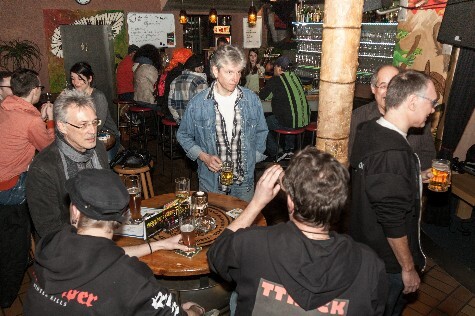 The international music press got more and more interested in that German Rockband. 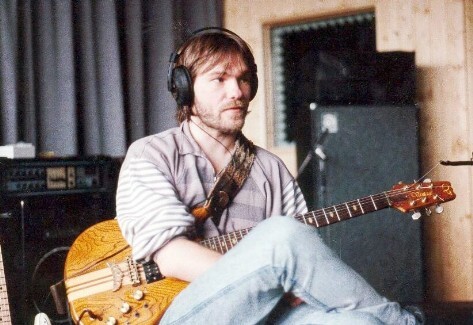 So, in March 1987, the distributor contacted the band and suggested to finance a second album, in order to record it in a professional studio. The catch on this story - it had to be finished within the next ten months. 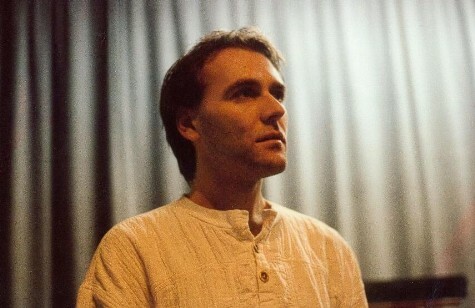 Because of a serious illness, Stefan Roessmann had to leave the group. He couldn't play the drums any more. 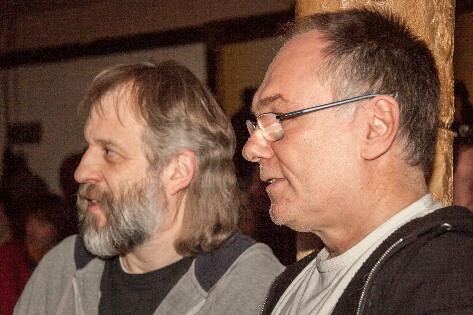 So it were Michael Roessmann and Wolfgang Vollmuth who had to find some new members for the next album. 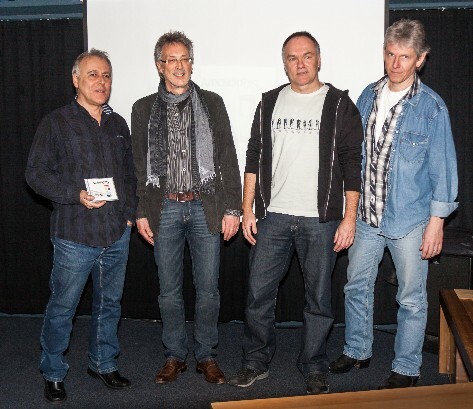 René Kius (drums), Kurt Poppe (keyboards), Wolfgang Vollmuth (bass, acoustic guitar & vocals), Michael Roessmann (guitars) and Elke Moehrle (vocals). This year was a very exciting one. New songs had to be composed and of course, new friendships had to be made. Wolfgang and René - bassman and drummer - an important coorperation within a rockband. Lots of moments were spent in talking about music and inventing new sounds and songs for the second album, which has to be both, progressive and commercial. That was really a challenge. 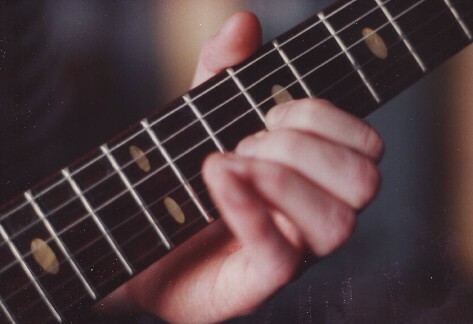 The next challenge - the new album had to be recorded within two weeks. Therefore, the days were really very busy and the nights much too short. Half of the songs were more sophisticated and the other half more commercial. 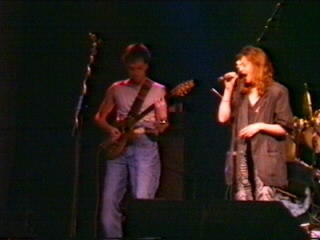 After the release of the second album - YOU AND I - in spring 1988, the group performed between March 1988 and June 1989. Elke Moehrle was replaced by Isolde Reischmann. The songs got more and more progressive. One song called AVALON was composed in December 1988 and another song called WHEEL OF TIME was born in January 1989. Well, it would take over twenty years that these two songs were going to be recorded. Here are some impressions during that time. In this year the reunification of West and East Germany was on its way - that was indeed a good thing for the country, for Europe, maybe for the whole world. 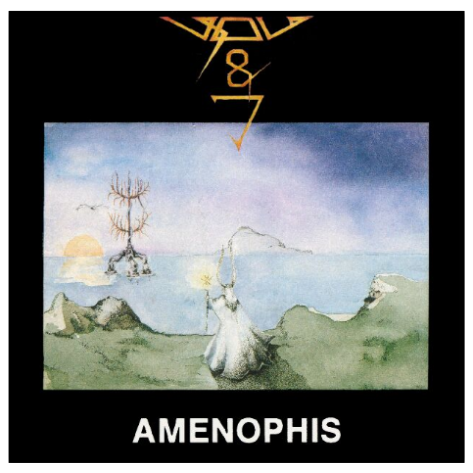 The bad thing was, AMENOPHIS second split-up - that was no good news for the friends of German Progressive Rock. 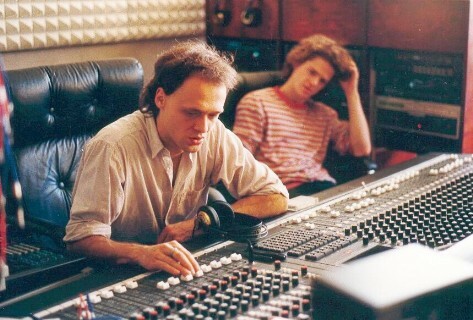 René Kius, Michael Roessmann and Wolfgang Vollmuth left the group in June 1989. They had to finish their professional training. They all gave up the idea of becoming a professional musician. 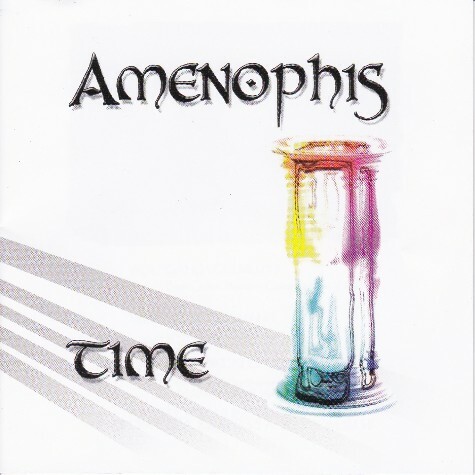 AMENOPHIS existed for over ten years. They played in many concerts and recorded two albums. But now there was a break between all the musicians. They had to go their own ways and live their own lives. Looking back it was a great time. Well, this chapter comes to an end, but two decades later they are going to open the third chapter. A German proverb says "Aller guten Dinge sind drei." In English you say: "Third time is a charm." ... was the year of a new project - AMENOPHIS REUNION - and it was again Michael Roessmann who did the first steps towards a reunification of AMENOPHIS. 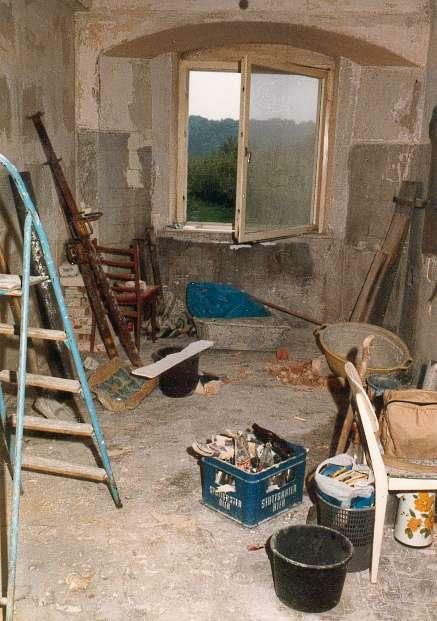 The first meeting was at Wolfgang Vollmuth's home in summer 2010. On this photo you can see Kurt (right), Michael (middle) and Wolfgang (left) talking about the idea of a new CD. 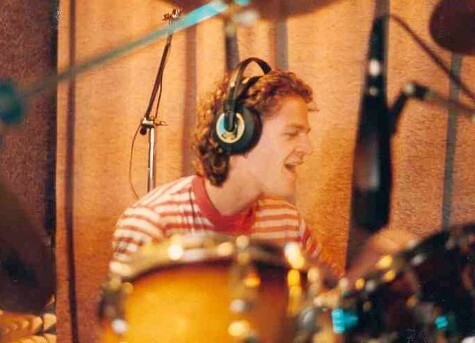 Michael showed them a short part of an old song, he recorded at his own studio in Munich. The result was that Kurt and Wolfgang were immediately interested in that new project. "Which songs do we already have for our new record?" was one of their first questions. The answer: Wheel of Time and Avalon - two songs from the 1980s. They decided to start with the song Wheel of Time. At Chipsy's Creative Center they made some preperations for this song. Here you can see Helmut Henk in his studio. The plan was to rearrange some of the good old songs and publish them together with new ones on a 3rd album. 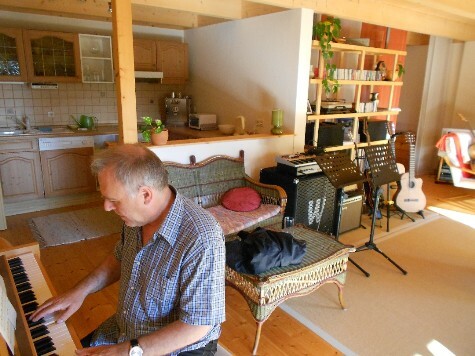 This is Wolfgang, composing some melodies for a new song. Wolfgang wanted a female voice for the song "WHEEL OF TIME". He knew a young and talented singer from Ravensburg. Her name was Eveline Sriyani Enderle. She was interested in singing this song with him. A rockband isn't a rockband if they haven't got a drummer, some people would say. 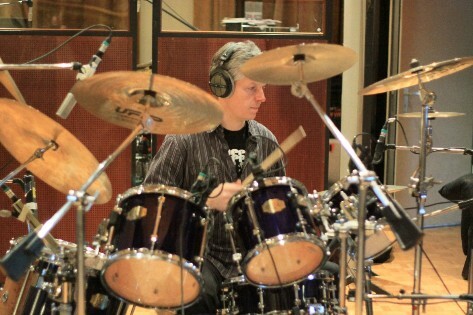 Karsten Schubert, a very experienced drummer, joined the band. The first meetings with him and the rest of the band took place early 2011. 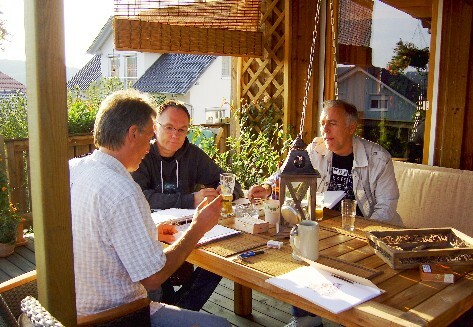 The meetings checked out well and in summer 2011 Karsten joined AMENOPHIS officially. 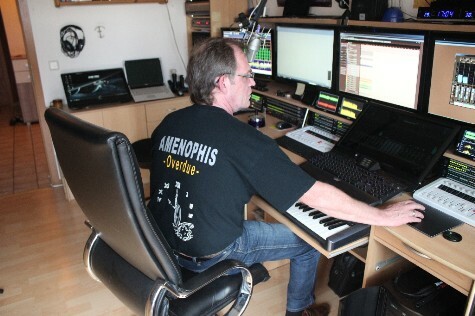 And so they could say: "Here we are again - AMENOPHIS is united"
On December 17th, 2011, AMENOPHIS started to record the first tracks of the 3rd album in the MASTERMIX STUDIO in Munich. Here are Michael and Wolfgang listening to the sound of AMENOPHIS music. 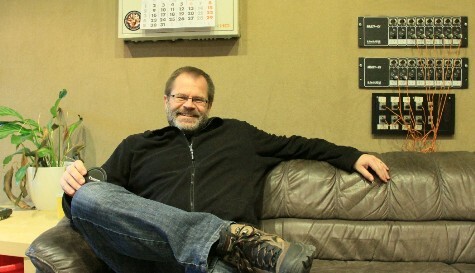 In the middle - Stefan Gienger - the sound engineer. This is Reiner Krueger, an old friend of AMENOPHIS, who was the photographer in the 1980s. He took some photo shootings with AMENOPHIS, while the band was recording their music. 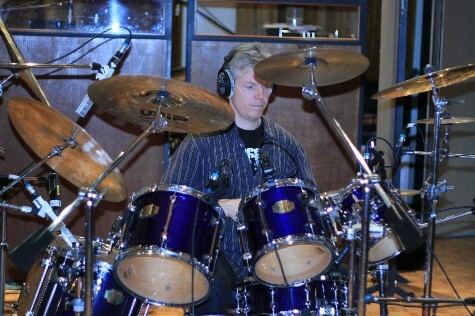 Karsten Schubert playing the drum tracks for the song "AVALON". 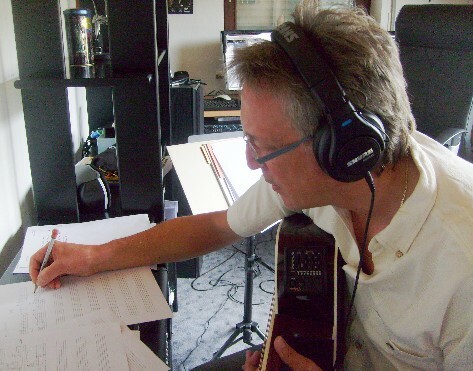 This year has been mainly used for composing, arranging and recording new songs. The photo shows Kurt playing the piano part of "THE SANDGLASS SYMPHONY". Some time in August "....Yes, we all have a good feeling concerning to our new record. It all makes a lot of fun and we hope that we can release our third project in a few months." September - we are working on our booklet and record sleeve. The title is "TIME"..... and maybe .... it looks like that. 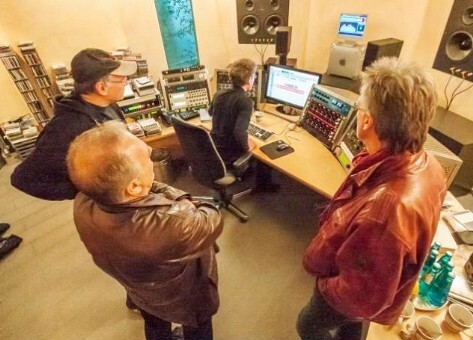 From October up to now, we have checked some mastering-studios in and around Munich. 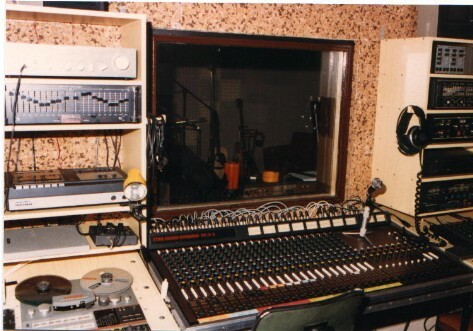 We have decided to take the MSM-Studio for the final masterings. 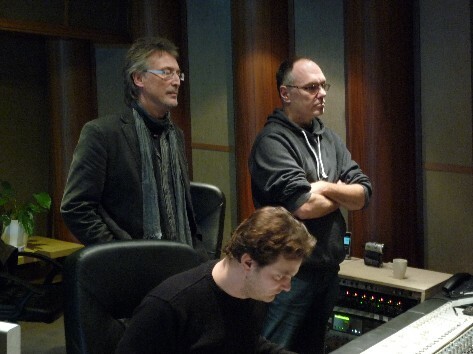 From left to right: Michael, Kurt, Christoph Stickel (the senior mastering engineer) and Wolfgang. publishing of our new record. The photo on the left is a little joke made by our photographer Reiner Krüger. February - we are happy to announce that our new album will be released under the french Progressive Rock label Musea Records (www.musearecords.com). The production process has already started, and we expect the album to be released on the first days of March. If you have any questions don't hesitate to contact us. We want to take the opportunity to say a big “Thank you” for your interest in our music, for your emails we really like to read and respond, for your comments and thoughts you share with us and others on the web, simply for all the recognition we receive from you. March 4, 2014. Here we are again. 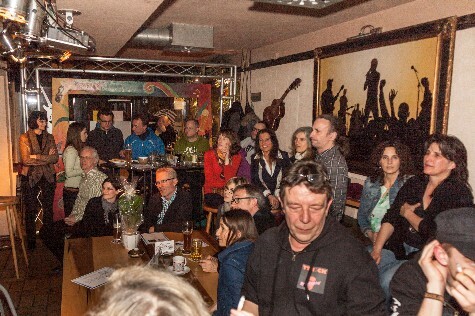 Presenting our new album TIME in a small and comfy pub in Tettnang, called "Flieger". Tettnang is a small town in the south of Germany and the place, where the whole AMENOPHIS-story started sometime in the 1970s. 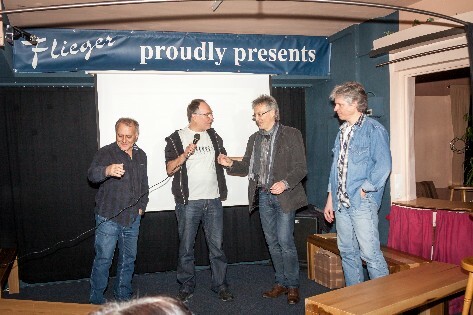 From left to right: Kurt Poppe, Michael Roessmann, Wolfgang Vollmuth and Karsten Schubert. Old and new friends listening carefully to the tracks of TIME for the very first time. Bettina Moore-Kumpfert and Colin Moore are two of the guests of honour on this special evening. 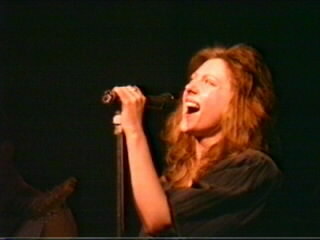 Bettina is the news speaker on the song "Mrs April McMay" and also the narrator on "Coming Home". 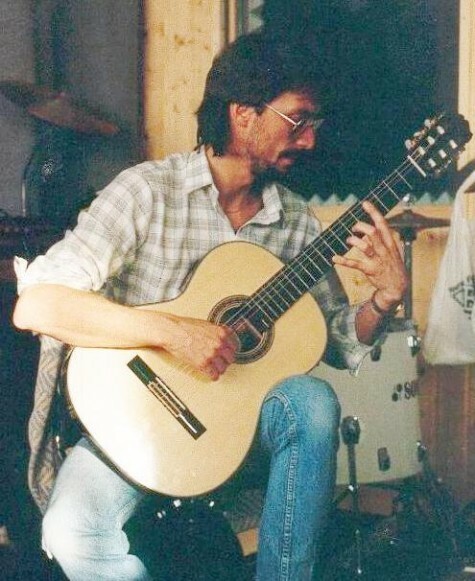 Martin Gastel - a former member of AMENOPHIS - he is always a pleasant person to talk to. Ali Wagner - a very good old friend of Michael. He is the owner of a guitar-shop near Tettnang. 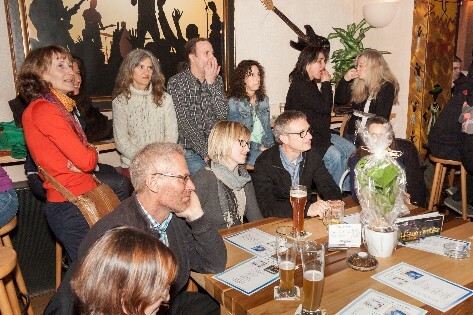 Yes, we can say that this was a really good event in a comfortable pub with lots of friends. 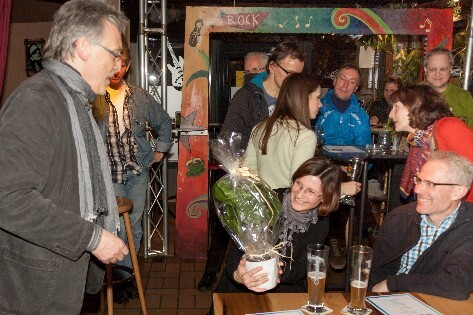 Thanks to Kurt Poppe who organized this meeting and lots of thanks to all the guests coming to our Release-Party. We, AMENOPHIS, enjoyed this evening very much.